Here is one of the broken Motorcycles in Tom’s garage. It belongs to The Dupe. Long story short, he dropped it within one month of owning it and has sat in the garage waiting on parts and The Dupe’s laziness to subside long enough to fix it. Instead of spending the $15 for a set of new grips, some tennis racket tape did the job. DUPE! 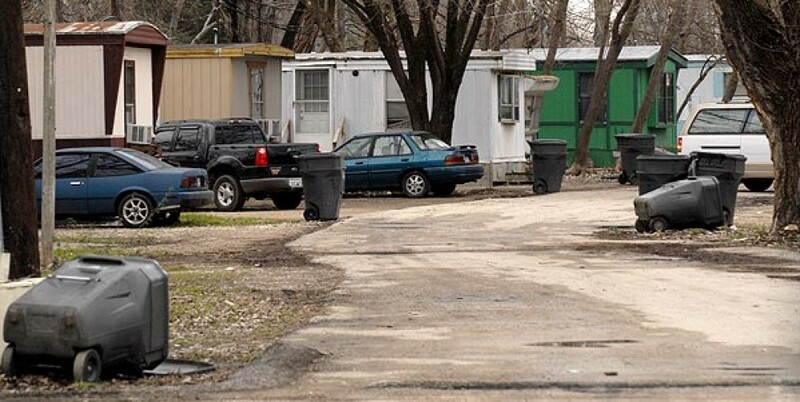 Your Trailer Park Is Showing! note: The yellow bike in the background is Tom’s. It’s the only vehicle in the garage that is 100% functional. 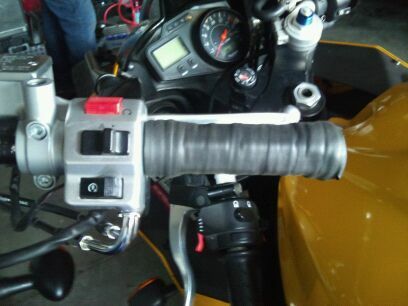 This entry was posted in Repairs, The Dupe and tagged Motorcycle, Tape by Harry. Bookmark the permalink.